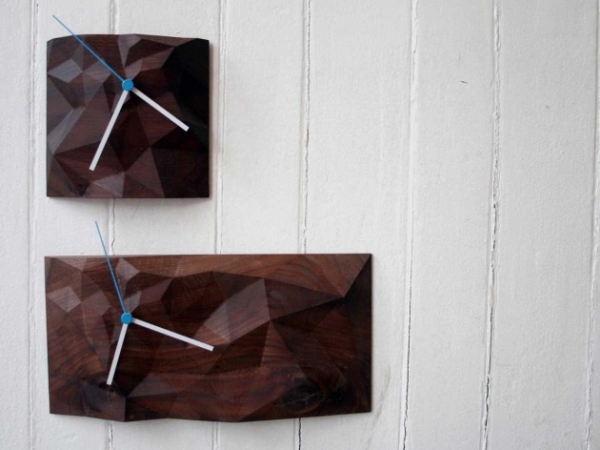 Deep reflections on the passage of time find new face in this inventively crafted wooden wall clock from Cincinnati based studio Such + Such. The Block Clock merges digital technology with the eternal appeal of handcrafted traditions to offer a beautifully crafted work of art, demanding attention with its elegance, simplicity and originality. 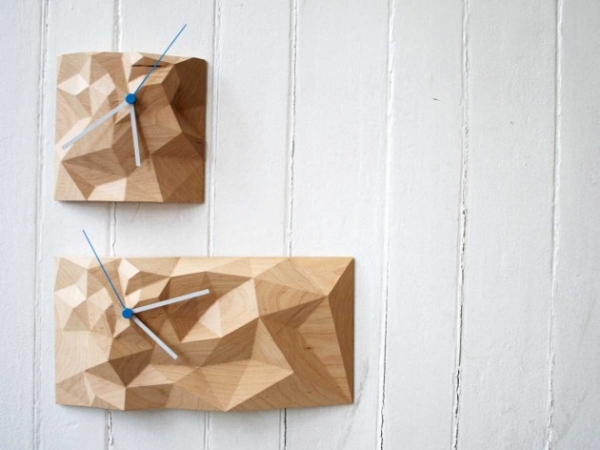 Crafting the organic patterns of locally found hardwoods into a symphonic unfolding of triangular tessellations, these wooden wall clocks create tactile experiences of time. Delighting with their movement and detail, the rings of the hardwood offer a window into time as encapsulated by the bare material. A battery powered Quartz arrangement offers a more convention experience of it. 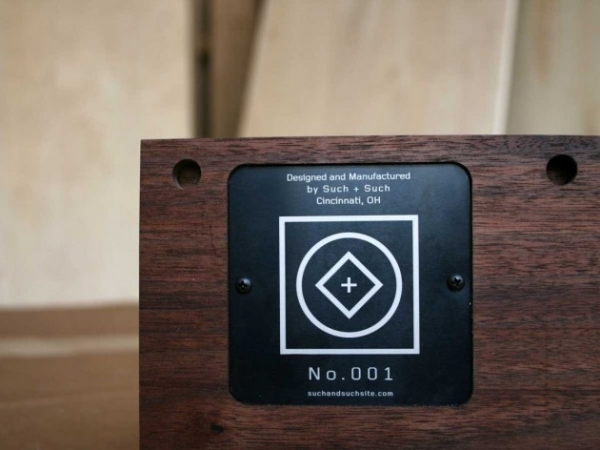 The history of the wood ensures that each piece is unique and is individually numbered, offering subtle variations in grain and dialogue within established surface movements. 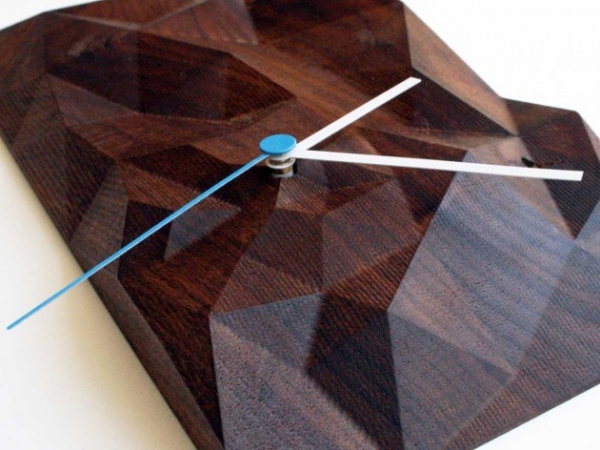 The Block Clock is available in Black Walnut and Hard Maple woods; the former offers a deep, sensuous aesthetic while the Maple is much lighter and gentler in its visual statements. 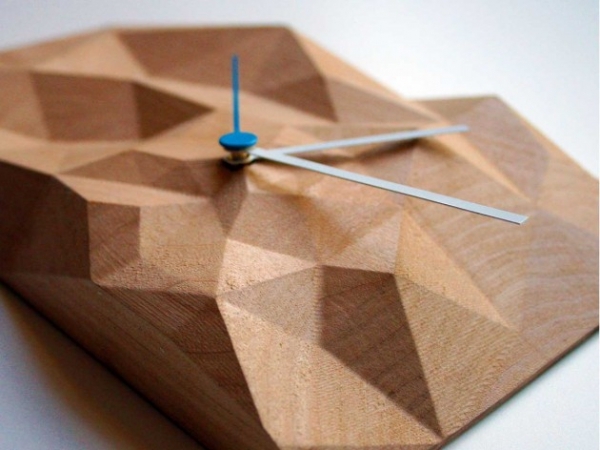 This wooden wall clock can be purchased online from the designer’s store in 2 sizes – a 6 inch square version and a 12 inch rectangular one. Sophisticated in its presence and visuals, the Block Clock is a sculptural interaction with time on a daily basis; perfect for adding oomph to even the most mundane of moments!